A few years ago, seeing an Audi on the road in St. Charles was a rare sight, but in recent times, more and more people have chosen Audi as their automaker of choice for their solid reputation of performance and reliability. The Audi A3, A4, A6, A8, and TT models are all quite popular, although catching a glimpse of the rarer R8 sports car may prove to be more difficult. Even though Audi vehicles feature impressive engineering, they are still capable of having problems and when it does occur, you need to know who you can trust to deliver a quality repair. Rx Auto is the leading Audi repair shop in the St. Charles area and can make sure your Audi continues to run like a top. 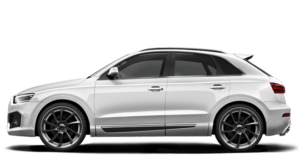 Most Audi owners make the common mistake of taking their car to the Audi dealership closest to Wayne, Batavia, or Geneva whenever routine maintenance or a repair is needed. While it may seem like a good choice, dealership prices in the St. Charles area can be highly inflated and Rx Automotive is a much better option. Our technicians are every bit as good as dealership mechanics (if not better) and their combined experience of working on Audi cars means that no repair is out of reach. In addition, our prices are much less than the dealership and service is often completed much quicker. Take a look at our website to see listed charges for standard maintenance and repair jobs. Our expertise and reasonable pricing are only two parts of the Rx Automotive advantage. The other side of the coin is our customer service, which is second to none in West Chicago. Regardless if you come in for a quick oil change or need to discuss a fuel injection cleaning over the phone, we’ll treat your problem as if it’s ours, taking full ownership of the issue and making sure it’s resolved to your satisfaction. Our business at Rx Automotive is keeping the customer happy by being professional and delivering a quality service, regardless of whether it’s large or small. If you’re like many Audi owners, then you probably love your car, but to keep it running as smoothly as possible, scheduling regular maintenance is a must. Rx Automotive in St. Charles can help you keep up with what needs to be done and when by sending reminders or calling when it’s time for your next service. We are well aware of recommended service mileage and pay close attention to recalls to help our clients stay in the loop with necessary repairs. With the help of Rx Automotive, your Audi will drive as well in 10 years as it did the day you drove it off the lot.